Highlights from the opening day of the WGC-Dell Technologies Match Play at Austin Country Club in Texas. Rory McIlroy and Tiger Woods both made winning starts to the WGC-Dell Technologies Match Play, as Justin Thomas opened with a shock defeat in Texas. 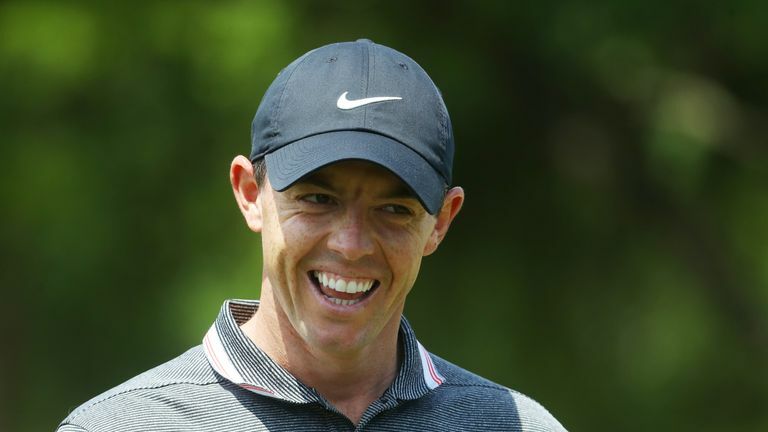 World No 4 McIlroy breezed past Luke List 5&4 in his opening round-robin match at Austin Country Club, while Woods - who could face McIlroy in the last-16 - began his week with a 3&1 win over debutant Aaron Wise. McIlroy holed from 12 feet to match List's 20-foot birdie at the first and added from 10 feet at the next to move ahead, before doubling his lead with a par at the fourth and converting a 15-footer for bogey to share the ninth hole. The Players Champion - who has been knocked out in the group stages the past two years - saw his lead extended when List found water off the 11th tee, with McIlroy then posting back-to-back birdies from the 13th to seal the win in his Group 4 opener. "I rode my luck a little bit on a few holes on the front nine, and Luke [List] led me away with a couple of holes," McIlroy said. "Then on the back nine, I played solid golf. "It wasn't easy out there with the wind and sometimes it was tricky and swirls up in the trees there, but to birdie 13 and 14 and to close the match out was very pleasing." 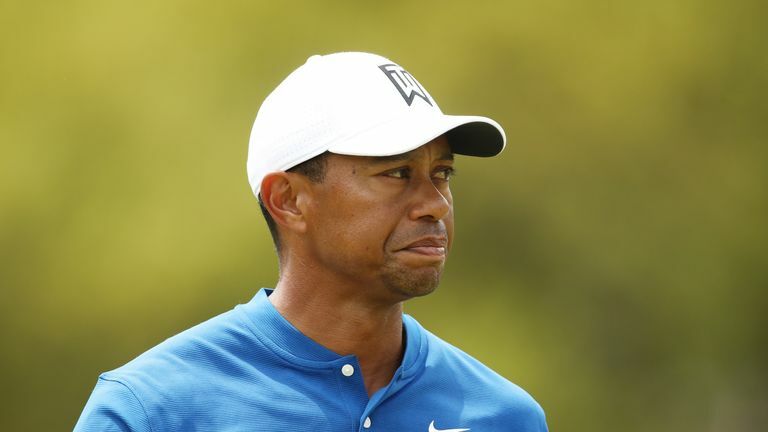 Woods edged two ahead without making a birdie over his first five holes and held on to that advantage until a bogey at the eighth, as Wise followed a 15-footer at the ninth with a birdie at the next to grab the lead. Wise three-putted the 11th and allowed Woods to claim the 13th and 15th holes with pars, before the 14-time major champion's win was completed by another Wise three-putt on the penultimate hole. "Neither one of us really played that great today," Woods told Sky Sports. "It was a pretty emotional match because we were up and down, up and down. There weren't a lot of holes halved and I was just kind of hanging in there. "It was one of those matches where we weren't playing our best and on a golf course like this it kind of exposed us a little bit." World No 2 Justin Rose - one of five players who can end the week top of the world rankings - defeated Emiliano Grillo 2&1 and Johnson beat Chez Reavie, as Thomas suffered a surprise 3&2 loss to Denmark's Lucas Bjerregaard. Tommy Fleetwood saw off Byeong Hun An 3&2 in the opening match of the day, as Ryder Cup team-mate and 'Moliwood' partner Francesco Molinari thrashed Satoshi Kodaira 5&4. Valspar Champion Paul Casey started with a 5&3 victory over Abraham Ancer and Jon Rahm claimed the biggest win of the day with a 7&5 victory over Si Woo Kim, while Ian Poulter avenged last year's quarter-final loss to Kevin Kisner with a 2up win over the American. The round-robin format sees 64 players split into 16 groups of four, with only the group winners advancing to the knockout stages at the weekend. 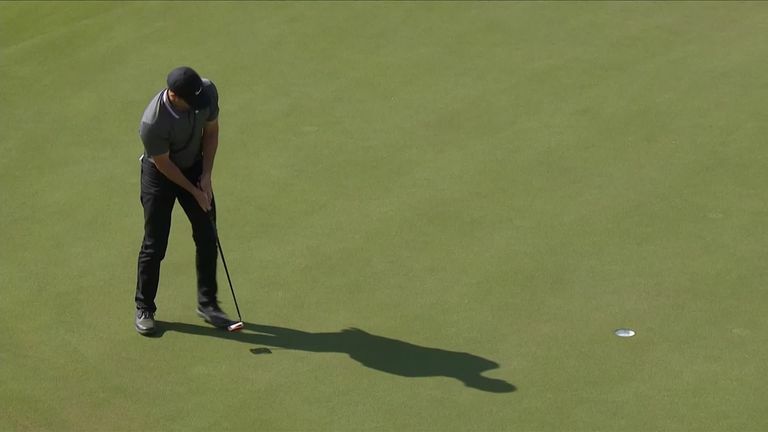 Watch the WGC-Dell Technologies Match Play throughout the week live on Sky Sports. Coverage continues on Thursday with Featured Groups from 2.15pm.